Americas Oldest Family Owned and Operated Fresh Mozzarella Company is Proud to Introduce our Brand New Authentic Italian Eatery! Aiello’s is proud to open a brand new, family owned and operated, authentic Italian eatery in the Manalapan area. 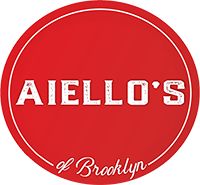 Come to Aiello’s when you want to experience first hand the tastiest brick oven and wood fired pizzas available in New Jersey, as well as a variety of other Italian specialties.